See our spooky round-up of ghoulish parties for children and celebrate this bone-chilling day! The world of ghosts, goblins, witches, warlocks, and things that go bump in the night come out to play on the day of Halloween. Whilst adults might be out past midnight, there's a good selection of events for children to have their own freaky fun during the day. 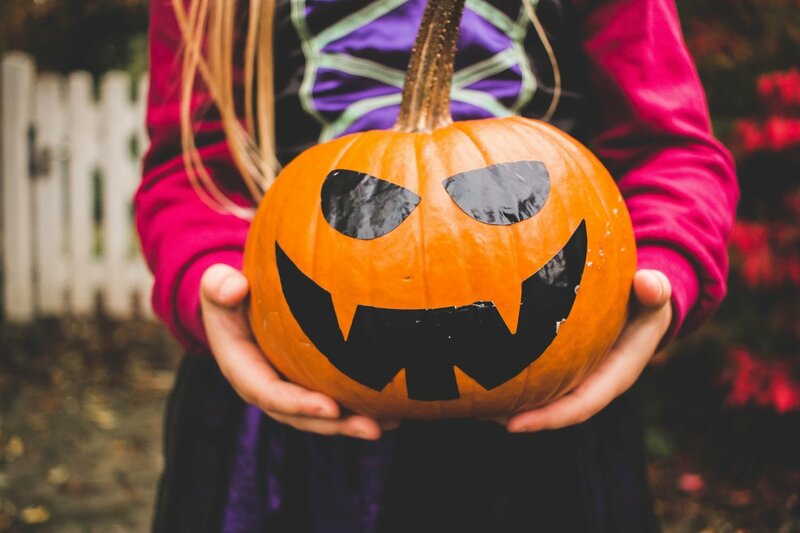 Think creepy costumes, lots of games and spooky things to do with plenty of entertainment to make your kids chilled to the bone. Plus there's food, drink and lots of other surprises to make the day one to remember. If you want the fun to continue after your kids have rested their heads for the night, then see our round-up of Halloween events with extra fun for adults. A great pre-Halloween witching-hour party comes courtesy of Factory Bar & Smokehouse the classy, American-style restaurant just outside San Rafael. The large industrial space is perfect for kids (and adults) with a spookily-decked-out space to have fun. There are special activities to rattle your bones plus entertainment to keep the little ones filled with glee. There's a costume competition, plus juicy bites for both kids and their mums and dads with all starting from 17:00 till late evening. Reserve your table before it's all booked up. Frighteningly good. From 17:00 Atzaro welcomes in the scariest of kids' Halloween parties in a fabulous free two-hour event at the Agroturismo near to San Lorenzo. And what a party you can expect, with some ghastly games, fearsome face painting and even a lesson in how to make slime to throw at any monsters. There are games like apple bobbing and dunking donuts plus music, food and arts and crafts stalls on display as children make marvellous mayhem. Make your way over and go dressed up to dance with the devils. An array of spine-tingling entertainment is on the cards at Babylon Beach Club in Santa Eulalia. The venue has lots of kids' and adults' costumes too, so you can just turn up and get kitted out. There's the Baylonitos kids' play area (supervised by good monsters) for the very little plus petrifying paintings, fortune telling, creepy crafts and a whole lot more. There's some freaky food and devilish drink for both big and little ghouls too. Starts from 14:30 till late evening. Reservations are recommended. Dare to scare! The beast could be about to strike at the “Thriller” Halloween event at Enigma Ibiza Restaurant in San Antonio. A Michael Jackson tribute that includes fun and games from 13:30. Kids get free scary make-up and entrance is free. Party on late with the little ones with DJ Wilfried spinning top tunes into the night. Special menus for kids and adults are on offer too. Reserve your table by calling them on +34 617 58 66 91. Will you try to freeze and start to scream? We think you will. And now for something a bit different. The brand new Food Ninja Kids Club starts with a fun Halloween theme on 30 October the day before where kids can make some spooky snacks to take home with them. This is a new club in Playa d'en Bossa for kids to learn about food and nutrition with activities in English and Spanish - little ones can learn how not to be a monster with their diet! Fun and educational, this could be just the thing to calm their nerves before the big scary day.